The Giants may not be willing to meet Bryce Harper's 10-year, $300+ million asking price, but that doesn't mean they're unwilling to sign the 26-year-old this winter. The two sides met for a four-hour meeting in Las Vegas on Monday, after which club president Farhan Zaidi said there was "mutual interest on both sides," then added, "You don't make a trip out there to meet with a player just for show." According to a report from USA Today's Bob Nightengale on Sunday, the Giants are now positioning themselves to offer the six-time All-Star a hefty short-term deal, though any contract specifics have yet to be divulged. Nightengale points out that the Giants were all too eager to trade for Giancarlo Stanton - and his $265 million price tag - during the 2018 offseason, which might suggest that some financial flexibility exists for the right player. 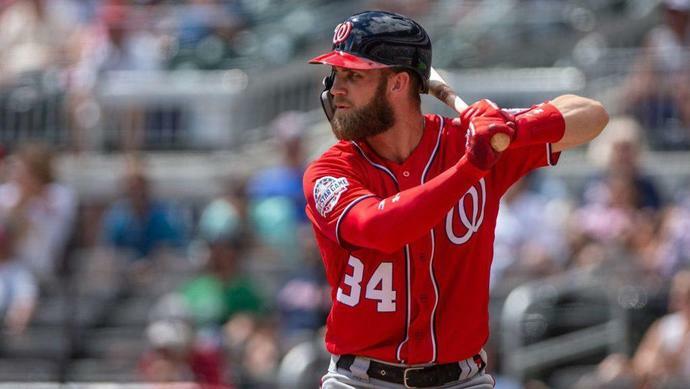 That fits with recent speculation from MLB Network's Jon Heyman, who claimed that as many as eight teams were still pursuing Harper, more than a few of which would reportedly prefer to make a more modest commitment before Opening Day rolls around. While there's no reason to believe the Giants won't make a serious offer to Harper, it's also worth pointing out that similar optimism has followed each of the outfielder's previous meetings this offseason. The Phillies were the reported favorites to land Harper after multiple discussions with the slugger, while the Padres were said to favor Harper over free agent Manny Machado in the days after their own face-to-face meeting with him. If Harper and agent Scott Boras truly have shifted their focus from the Phillies, Padres, Nationals, and White Sox (and any number of mystery teams) to the Giants, they'll make their intentions known relatively soon.